I found this recipe on pinterest and could not wait to try it. 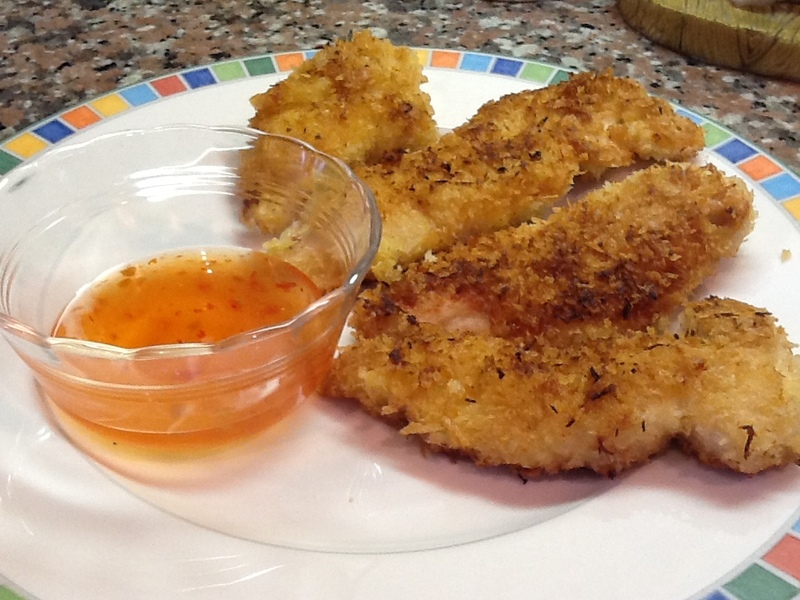 It's a yummy alternative to your basic chicken finger. My husband and I ate these with Trader Joe's sweet chili sauce, and my little guy ate his with a little honey. Your little one can also dip these in applesauce. This is for little ones 12+ months who are ready for finger foods. I served this with steamed broccoli.